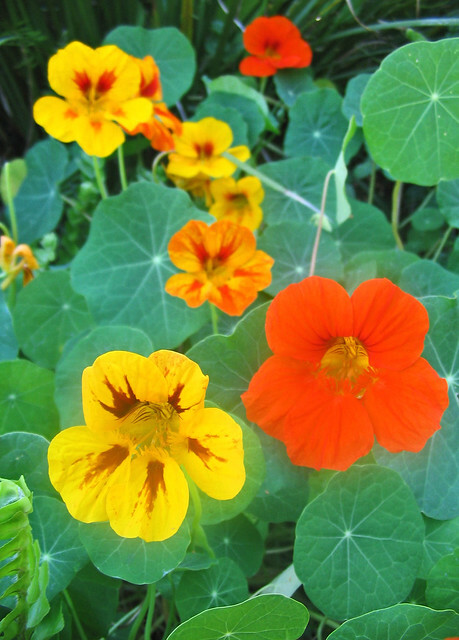 Soak fresh, nasturtium green seeds in cold salted water for two days (half a tablespoon of salt to one pint of water). Drain and soak in cold water for another day, then drain well and put in a glass jar. Bring (pickling or white wine) vinegar to boiling point and use to cover the seeds. (Probably best to let it cool first!) Close the jar tightly and leave for a couple of days before eating – they’re nicest after about 2 weeks. Store for up to six months. Variations on the above include adding the following to the vinegar: garlic, celery seeds, lemon zest, pickling spice and peppercorns. Next What is organic gardening?